Carol Beth Breeding was called home by Our Lord and Savior on December 28, 2018. She fought the good fight of Alzheimer's for many years. Carol was born in Denison, TX to Rayburn & Evelyn Floyd on February 17, 1945. She met the love of her life before she was in high school, and they were married in 1965 for 51 years. Carol is survived by her two children and their family, Jason (Joy) Breeding, Jennifer (Charles) Mumford. She has three grandchildren, Gabriel Youngquist, Caleb Breeding & Ariel Breeding. She is also survived by her sister, Betty Arnold. She's leaving behind many friends and great memories. Carol is preceded in death by her husband, Bill Breeding, and both of her parents. 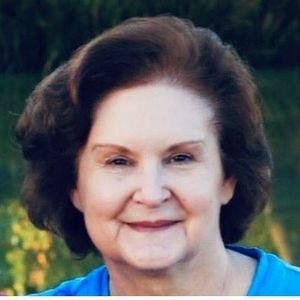 Carol was a devoted Christian and was very active in Bible Study Fellowship and Park Cities Baptist Church. She loved the mountains and spent many family vacations in Colorado. She graduated from Bryan Adams High School and went on to Baylor University. Carol was just points away from Mensa high IQ society. Her family would like to thank the staff of Sonoma House Memory Care in Carrollton, TX. You cared for our mom like she was your own for the 15 months she lived there. Words cannot express how grateful we are to you. Funeral services will be held at 11:00 a.m. Thursday, January 3, 2019, at Eastgate Funeral Home, 1910 Eastgate Dr; Garland, TX 75041. There will be a viewing one hour before the service. In lieu of flowers, the family would request memorial donations be made to The Alzheimer's Association. Brian and I feel so blessed to have got to know Carol, and Bill, and to be able to call you family. You will be missed beyond belief by all your loved ones, but we know without a doubt, you are dancing with Bill and talking with Jesus now. Our Love to Jason and Jennifer, Joy and Charles and to our Grandchildren that we share. God Bless you all during this time of transition in your lives. We love you!